BPS Gift Certificates are a fast and easy way to show someone you care. 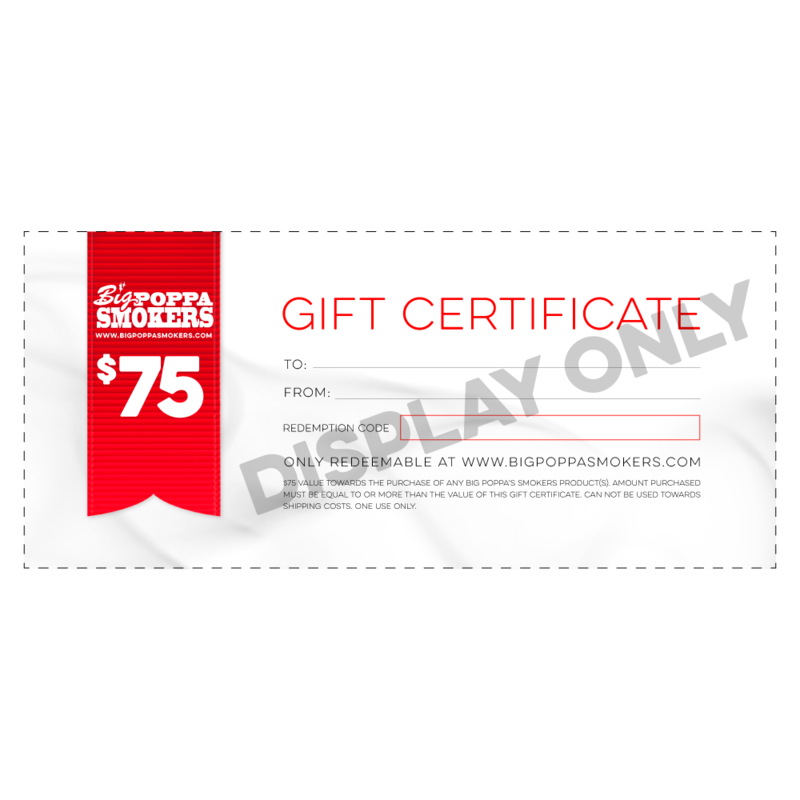 BPS gift certificates are perfect for any occasion. Give them away for birthdays, graduations, weddings even just if you want everyone to try our awesome products. 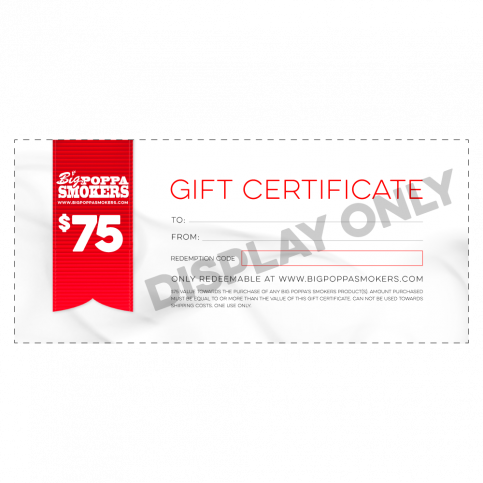 BPS Gift Certificates are good to use towards rubs, sauces, accessories, grills & smokers, in the BPS store. Sent to you in a PDF attachment with a unique code: you can print at home or send it via email making it simple and hassle-free. Gift certificates are only redeemable when purchasing a value equal to or greater than the value of the gift certificate. Please note: Gift Certificates are processed during weekly business hours (Mon-Fri 7:30am-5pm PST). They will not be processed during holidays, weekends, or evenings. Please allow up to 24 hours for your gift certificate to be emailed to you.